After tender and award, HEC was hired by the contractor to provide a value engineering alternate design for the replacement of the Northport Bridge that spans the Shinimicas River in Cumberland County along Route 366. 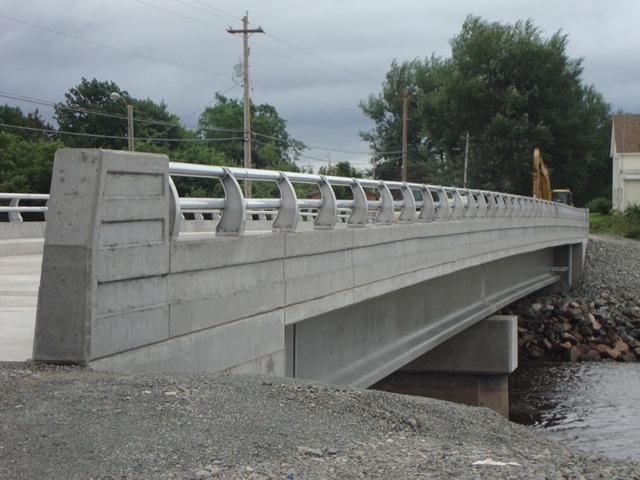 The alternate design completed by HEC consisted of a 2 span semi-continuous precast concrete girder structure founded on fully integral abutments and a central in-river wall type pier, also founded on piles. 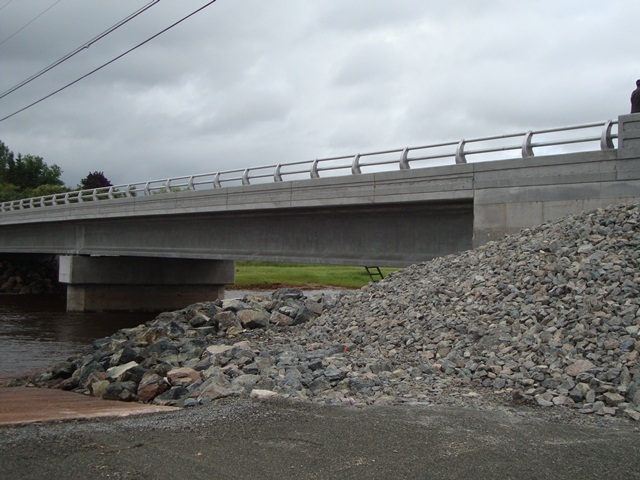 The alternate design resulted in significant cost savings for the contractor as well as the NS Department of Transportation and Infrastructure Renewal. These savings were achieved by reducing the number of girders in the structure from the parent design as well as significantly reducing the number of piles in the abutments by modifying the abutments from semi-integral to fully-integral structures. As a design build alternate design, the contract had already been awarded and construction was initiated before design actually began. To keep the project on schedule, design drawings were issued in packages so the design could be carried out in parallel with construction activities without influencing the overall project schedule. This required a great deal of cooperation and coordination between HEC and the contractor. The design of the structure was further complicated by the bridge’s proximity to the mouth of the Shinimicas River where it discharged into the Northumberland Strait and the fact that the pier design needed to account for dynamic ice loads. Since an ice study was not completed during the base design, HEC conducted a site specific desktop ice study to determine the 1 in 100 year ice thickness and crushing strength to determine the dynamic ice loads for the design of the central in-river pier.